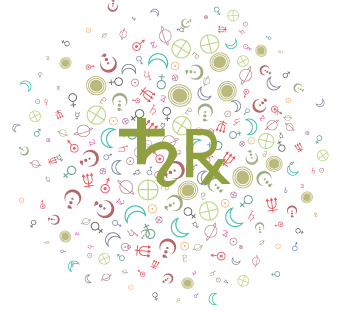 The transits of Mars to planets and points in the natal chart are relatively brief influences, lasting approximately 2-3 days. Mars acts to energize and activate the conditions surrounding the planets and points it touches. Taking action is the theme now. You may jump into something impulsively, do something you normally don’t have the courage to do, or something you have always wanted to do but haven’t had the chance to act out. Competitive activities are favored. Males or traditionally masculine activities figure prominently. Taking action on an instinctive level is the theme now. This is a good time to do something that requires additional bravery or courage, as this influence tends to release some of your inhibitions. You are living spiritedly now. It’s an excellent influence for competitive activities, such as sports or business. You are taking things quite personally now, and something that someone says or does now can easily rile you up. Challenges with those in authority or with males could figure. Impatience and impulsiveness tend to rule. You are in no mood to compromise just now. A tendency to be more accident-prone could be due to stress or physical exhaustion. 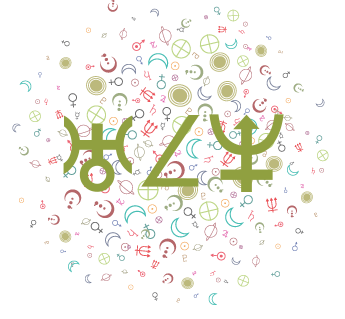 Acting upon your emotions in some manner, or taking action in your home, could figure now with the fiery planet stimulating your emotional, domestic Moon. Depending on circumstances, there could be domestic friction, dealings with people who are frustratingly passive or indecisive, an invigorating project around the home, or an exciting emotional experience now. You could be especially defensive and emotional, or possessive and protective of loved ones. Acting on impulse is more likely now than usual. A pleasing emotional or sexual experience can be part of the picture now. Your emotions are spirited, your lust for life is strong, and you are willing to act on a hunch. There’s nothing neutral about your feelings now, yet you still manage to come across as level-headed. This is a good time for projects around the home, sexual activity, and anything that involves putting your heart into what you do. You are acting on your feelings right now, but it might get you into hot water if you are not truly in touch with what you want. 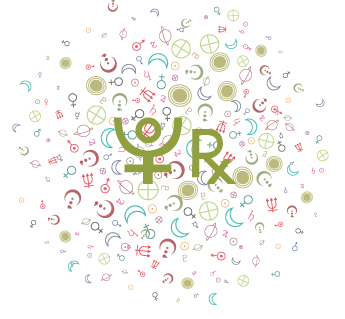 You are capable of some childish or impulsive reactions during this transit. Tempers may flare, domestic squabbles are possible, and you could be feeling under the weather. If you are feeling particularly disgruntled, this could be a good time to get in touch with what has been brewing inside. You are very busy and potentially very productive during this transit. Your ambition to complete projects, for example, is stimulated. You could be itching to express yourself, but not very receptive to others’ points of view. As such, it can be hard to carry a satisfying and healthy conversation. Others might find you too aggressive when it comes to expressing your point of view. You are also inclined towards impulsive decision-making and off the cuff remarks. It’s easier than usual for you to make quick decisions, communicate with others directly and effectively, and to make serious progress in any projects or mental work now. You could be enthusiastic about a particular idea or concept. Lively conversations can figure. Your desire to solve problems is strong and your mental energy levels high. You are proactive, and willing to put your ideas into action. You won’t accept opposition to your ideas right now, although you are likely to encounter it. You could be coming on too strong with your opinions or point of view. Resist turning an intellectual debate into an argument. Remember the adage that “haste makes waste”, as your tendency to make quick decisions or to take shortcuts works against you now. Sexual and creative energy is high now. You are hungry for experience–you want to put into action many of your wants and desires. Although you might be a little too eager, and perhaps come across as insensitive, this could also be a time when you take the lead and make your move. You could be impulsive with your affections and/or your pocketbook during this transit. You have an opportunity now to take the initiative in order to achieve harmony and sexual fulfillment. Social relations are impassioned, and perhaps demanding or extreme. Your romantic impulses may be more forceful and pressing. Some level of competition is present in your interactions with others. You may find it easy to go after your heart’s desire right now, whether that’s a person, circumstance, or object! Sexual and romantic activities may be initiated or simply feel “right”. Your sense of timing is strong. The desire to enjoy life, for comfort and pleasure as well, is stimulated. Creative endeavors are favored at this time. Sensuality is also strong now. *You may feel emotionally frustrated. Your feelings are going against much of what you value, so make way for possible difficulty. Your enjoyment of life may be temporarily blocked. Powerful desires and amorous feelings are stimulated now perhaps through an enticing interaction or personal encounter. You take the lead in social situations or attract personal attention. Coming on too strong, not picking up on subtle cues, or being inappropriate in a social sense are pitfalls of this time. Strive for a balance between taking the initiative and being sensitive and aware of others’ needs and wants. If you are usually shy and unassertive, this is your moment to come out and take a risk even if you’re a bit awkward. You are at a peak of physical energy now. Your enthusiasm runs high, and so does your courage. It’s a time of decisiveness, taking the initiative, handling problems directly and straightforwardly. You might feel the need to take charge or lead a project. On the negative side, you might be too pushy, cocky, or hasty now. Sexual energy might run high now. Doing something physical or beginning a new exercise program might be in order now. You have excellent rhythm and timing right now. You are confident, straightforward, direct, and ambitious. You might enjoy competition at this time in your life. Enthusiasm runs high, and you easily find motivation to do something physical or brave. A sense of frustration is likely now, possibly because you are feeling out of step with your natural rhythm. Particularly with the opposition, you may be feeling drained or challenged, wanting very much to throw yourself into an activity but finding it hard to muster up internal motivation or enthusiasm. Pushing too hard could bring on headaches or a feeling of burn out. Buried angers can surface now as tension or impatience. You are touchy and over-sensitive now, and it is very easy to take offence. You are likely to feel especially energized and enthusiastic about what you believe in or regarding business ventures. The desire to do something about your beliefs or ideals is strong now, or you are in a position to stand up for your beliefs. Your sense of timing is excellent, all things considered. You more readily take chances, and you feel especially strong, positive, adventurous, confident, and energetic. You are looking to expand something right now–the bigger the better. You are competitive in a friendly manner, and you readily rise to a challenge now. You tend to do things in a big way. You may need to avoid the traps of overconfidence, arrogance, haste, or taking on too much. All systems go! This is a strong aspect for beginning a new enterprise or endeavor. Decisive action comes naturally now. You possess willpower, verve, and energy that you can direct toward achieving your more lofty goals. You have the urge to expand, branch out, or take on more challenges. The desire to take action for the good or to better your life is strong now. You may be boastful or arrogant in manner right now, and you tend to overestimate your capabilities. The tremendous energy you have at your disposal now should be used constructively or you might find you are just spinning your wheels. You may be a little too forward-looking, forgetting or ignoring important details. Your ideas or plans may be too big. You may be excitable and competitive. Look before you leap! You may be particularly aware of, and frustrated by, slowness, blocks to your plans, conservativeness, limitations, and other realities right now. Positively, however, you might feel much enthusiasm for getting your life into order in some significant manner. Eliminating waste or excess may be the focus now, for which you can channel tremendous energy. This is a good time to appreciate determined effort and actions. You are especially aware of the process right now, and this gives you a sense of responsibility and purposefulness. It’s a good time to temper your energy or apply yourself, using traditional methods. This is a time in which you are especially sensitive to the limitations or blocks in your path, which can point to frustration or stress. You may be especially impatient with protocol, red tape, traditional methods, superiors, and rules that seem oppressive. The trick is to realize that pushing matters right now simply won’t do you any good. Try to think about the long term instead of pushing for immediate results. This can be a highly animated, excitable time. You tend to act on impulses, flashes of insight, or other sudden realizations. The desire to break free of a limiting situation is awakened now. You are more willing to experiment or take risks, and more conscious of a need to act independently. The best way to harness this exciting but erratic energy is to act rather than react. You are more willing to experiment or take risks in order to change your life’s direction now. Your sense of independence is pleasantly stimulated now, and it can be a great time for doing something that requires courage or guts. You want to do something that sets you apart from others or that makes you feel unique. You are more sensitive to, and frustrated by, anything that makes you feel stifled, restricted, oppressed, or restrained now. Your desire for independence or to feel unique and original is strongly stimulated, but you may not be going about it in the best manner. In fact, you might come across as rebellious, cantankerous, or hard to please. You may be especially impatient, impulsive, or prone to taking foolish risks. This stems from the desire to make changes in your life or to shake things up because you are sensitive to that which is boring, monotonous, or stale in your life. The desire to act out a fantasy or to take action on a compassionate or idealistic level is very strong now. You may feel that nothing is impossible now, or you could find yourself acting on a whim. Your impulses and desires may be hard to explain or difficult to understand now. You could feel impatient or restless with your regular routines, and especially practical endeavors, and the desire for more glamor or drama in your life is strong. Inspiration can be found now. This transit favors dancing, swimming, photography, arts, and entertainment. It’s not good for practical or routine matters. Your intuition, compassion, and idealistic impulses are pleasantly stimulated now. 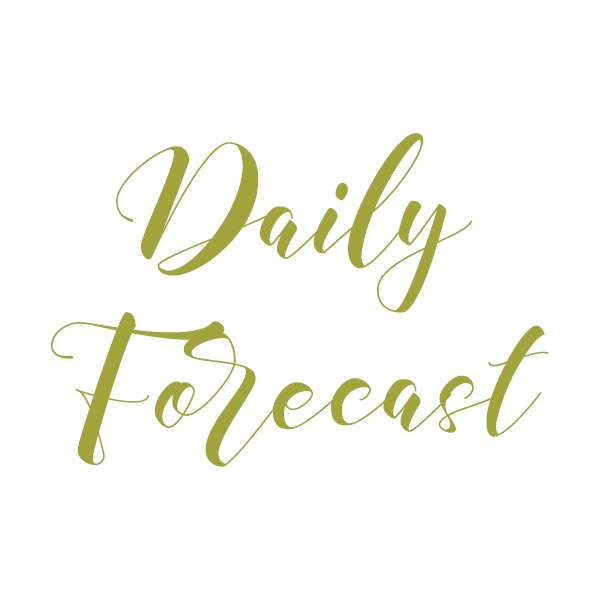 Practical concerns and routines are of little interest to you, so it’s a good time to take in a movie, create something artistic, enjoy down time, and other such creative and entertaining endeavors. You may be feeling pleasantly inspired. There can be letting go of anger, or a softening of the disposition now. You may find that you are impatient with anything that feels ordinary, dull, too practical, or humdrum right now. You crave more glamor and drama in your life, and you might act on a whim now without considering the practical consequences. Avoid taking foolish risks, but do try to remove yourself from the regular routine or avoid scheduling important appointments or work if possible. You don’t want to take no for an answer now. You are especially willful and decisive. The desire to rid yourself of waste or to eliminate what you feel are useless or trivial activities is strong, and you can be especially determined and possibly impatient in the process. You may enjoy a strong sense of purposefulness now. The desire to take control of something or of your life in general is stimulated, and you might get involved with power struggles if someone seems to be in your way. Your drive to succeed and excel, as well as to get your way, is stimulated now. Your drive to succeed, excel, and control is stimulated now with positive results. You might throw yourself wholeheartedly into something now, and your determination is strong. You are especially sensitive to anything that reminds you that you are not in control now. Your desires are intense and difficult to satisfy under this influence. A tendency to bully and confront may dominate. Efforts to make changes could be thwarted, or power struggles emerge. The trick is to remain flexible and to develop strategies. The desire to get the upper hand is strong, but it’s unlikely to happen under this influence. It would be wise to observe whatever powerful feelings that confrontations or conflicts arouse under this influence, as this transit has a way of pulling out suppressed matter, or emotional “slush”. Passions run high, and so does sexual energy. You have just emerged from a period in which you were less forthright or in which you were considering new plans but not quite ready to take action. Now, you are ready to go forward, push personal plans, or go after what you want. You are more direct, courageous, and initiating. If you are too hasty, this can be a time of a minor accident or some other slip-up. You are fired up, energetic, and in need of physical or competitive outlets. You are feeling confident, brave, and courageous now. It’s easier than usual to assert yourself and to go after what you want with natural enthusiasm. You may rub others the wrong way now, as they sense your impatience or they feel that you’re not considering their needs. You might fumble when you go after what you want, as your confidence seems forced. You might feel irritable and tense under this influence. Restlessness and impatience are likely now. You are more than willing now to take charge of your life, particularly on a professional level. It’s a time when you face your responsibilities head-on rather than avoid or ignore them. You may be called upon to take charge or take the lead in some significant way. Your energy for professional matters is very strong now. *You have a lot of energy to pour into practical and career decisions. You may appear commanding and assertive. You take a proactive, assertive, and eager attitude toward challenges and your ambitions. You could impress superiors with your vigor, as you are willing to go the extra mile and do whatever it takes. Opportunities to advance your standing or achieve a desire come to you now. Green light! *Harsh feelings could flare up on the job or with authority figures. Cool it, and let this one pass. You may not be moving ahead as you’d like, or you may find that you’re struggling to get things done. Hurrying, irritability with family or people at work, and a disagreeable attitude can make this a tense time. Don’t try to do more than you have to, or make deadlines for yourself that you then push yourself and others to meet. Chill out a little! Interpretations written by Annie Heese, unless otherwise noted. Interpretations marked with a * are from our Time Line Forecast report. 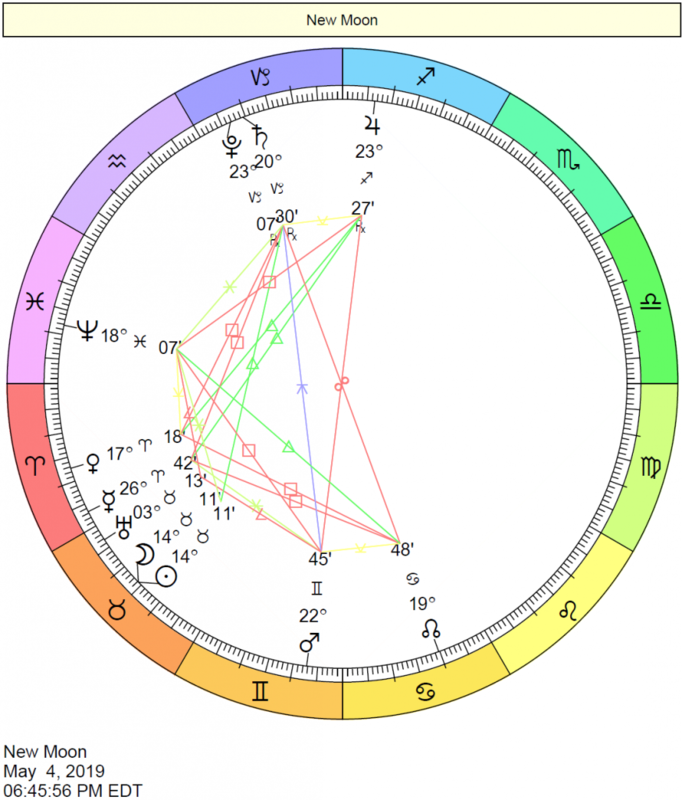 How to Predict Your Future: Secrets of Eastern and Western Astrology by James Braha. This is an excellent resource for outer planet transits: Jupiter through Pluto. – What’s My Sun Sign? – What’s My Moon Sign? – What’s My Venus Sign? – What’s My Mars Sign? 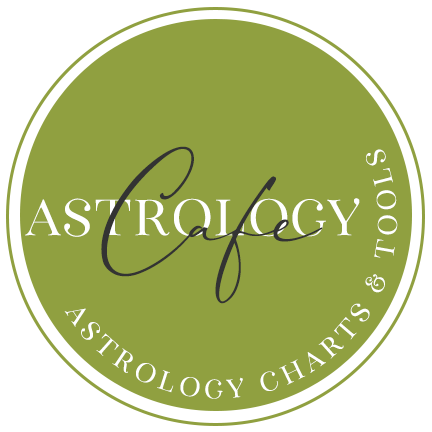 – What’s My Jupiter Sign? – What’s My Black Moon Lilith?